10 steps to install a game in correct order. Sort the files in the correct place of the diagram. Sort the browsers by their names and logos. Know 12 useful software programs with card game. Fun Online Software Games Collection. 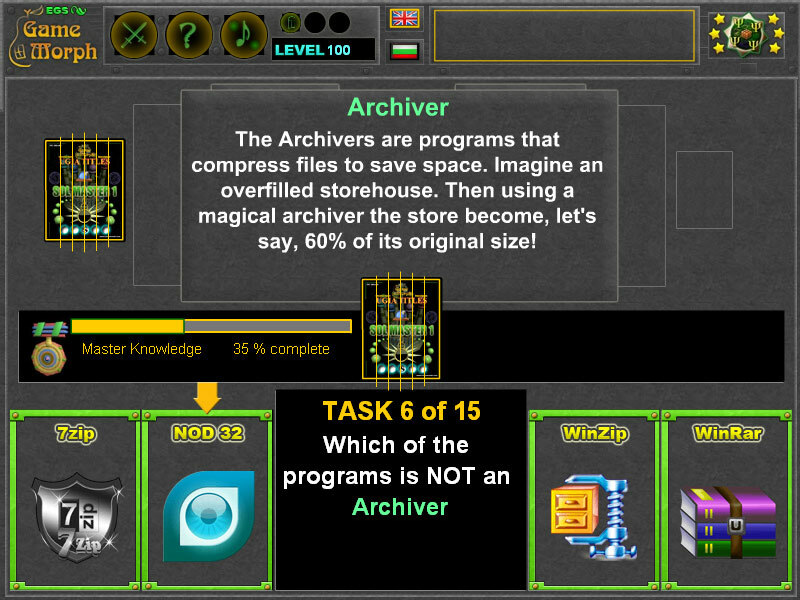 The computer software games are small flash applications, up to 2 MB, suitable for interactive learning of interesting and useful things about the computer programs, games, and program utilization. This category include all games, puzzles, mosaics, online test and interactive knowledge boards to understand what is software and how it is used. Interactive Computer Tools. Fun Software Games Collection. Antivirus Programs Game - Defend the computer system from malicious software. 50 Social Networks Mosaic - Open popular sites for sharing. Web Search Symbols - Sort the symbols in the correct search query. Software Programs Match - Know 12 useful software programs with card game.